Congratulations totomai! 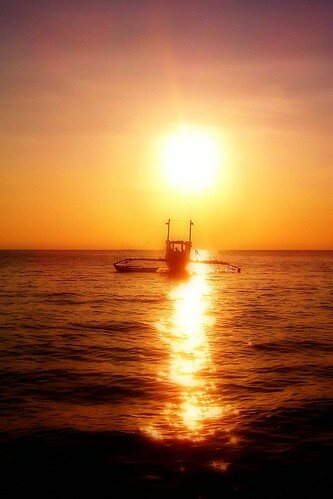 This beautiful sunset is from the Philippines as this boat island hops around Boracay Island. This looks like a wonderful shot in paradise! Looks like you had a great time. Take a look at the slideshow of his set for more gorgeous shots from that trip. Cool, they even showcased all my photos in Boracay thru a slideshow. Thanks! I just realized that most of my sunrise/sunset photos are recognized by the Flickr community. 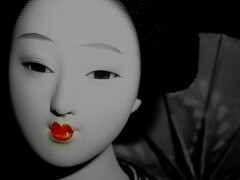 Last November 2006, Karma Group honored two of photos as Photo of the Day in a matter of one week. Boatman and At Day’s Break were blogged here. So if you want to witness breathtaking sunsets and sunrises, pack your things and visit the Philippines. Since the hotel is planning to take their DSL connections, I’ll focus first on blogged sunset/sunrise photos. Hehe. Man, I need to go to the beach before it gets rainy again. As usual, wonderful photos. 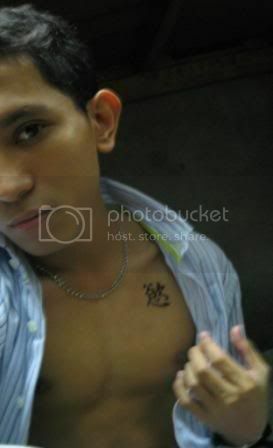 Mag-iipon ako for a new digicam after I graduate dahil inggit ako sa pictures mo. Hehe. @coy hehe, daan ko yan ang blog mo uli ayusin ko lang mga dapat kong ayusin dito. kelangan yan ng concentration. lol.